As a kind of winch, the mooring winches also can effective operation when a vessel anchor is in bulbous bow of naval shipsthe state of anchor and stop. A anchor mooring winch enjoys so many functions, which can not only plays a role of drift, support and location during the process of loading and unloading, but also can make up the deviation in a constant tension formed by vibration. 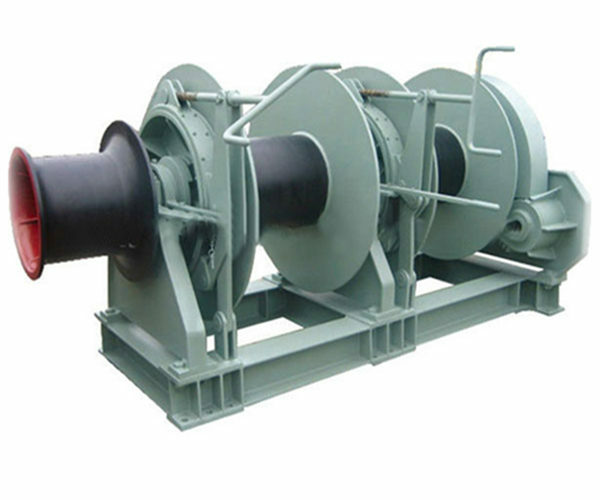 There are many types of mooring winch system according to different classification standard. Considering the power, Ellsen offers three modes of mooring winch operation that is manual mooring winch for ships, electric brake holding capacity mooring winch and hydraulic mooring winch brake holding capacity. In view of functions, we also provide the marine mooring windlass, engineering windlass mooring winch, mine mooring winch for sale and cable anchor mooring winch. Among the kind of marine mooring winch system, there are mooring winches operation, anchor winch, towing winch and capstan winch. From the aspect of structure, we support the single drum and double drum mooring winches for ships. Besides these basic kinds of mooring windlass for sale, Ellsen is quite confident to custom so many type of windlass mooring winch according to your requirements with high quality, advanced technology and cheap price. The electric anchor mooring winches is mainly used to moor alongside, anchoring and retracting cable for ships or ocean platform. 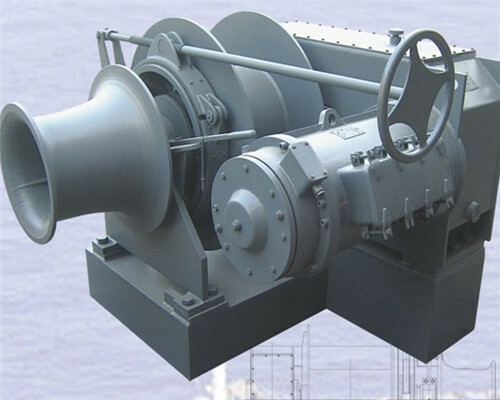 A electric mooring winch for ships can be divided into seven parts, they are warping drum, marine planetary reducer, marine band brake speed regulating motor, The main electrical control box, IP56 master controller, and foundation and so on. In the procession of mooring works, it mainly rely on the gearbox of the electric motor to drive the winch drum, then leading to deploying and retracting cable. Besides, the brake on an electric mooring winches for sale is fixed between the motor and input shaft. 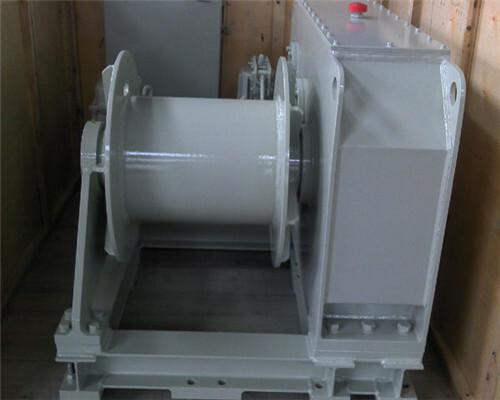 In order to meet different requirements on the work of traction, load line, unload and rotation, we are capable to design and produce different kinds of mooring winch equipments, with double drum or even multi-drums. 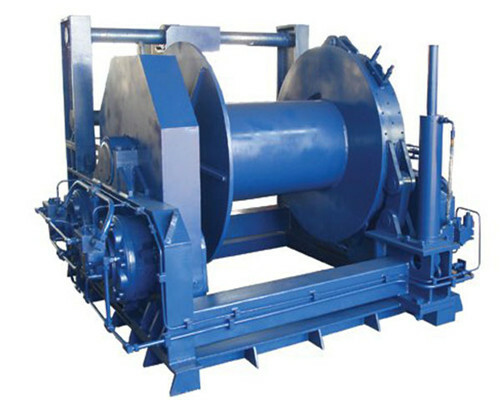 In additional, we can also custom several excellent support equipment includes mooring and anchoring drum and warping head. Ellsen will be your best choice for each kind of mooring winches for ships with more than one century’s rich experience and advanced technology. Adapted high profile hydraulic motor from home and abroad, Ellsen’s hydraulic brake holding capacity mooring winch enjoys two different types of proportional valve includes manual and automatic, just as the motor reflected, Ellsen’s hydraulic mooring winch brake holding capacity equip with so many eminent components, which not only owns the marine use water-proof command electrical control components, but also holds the environment friendly brake. All our hydraulic mooring windlass is produced on the basis of multi- international standard, such as the FEM, DIN, ISO, besides, we also acquire several ship certifications, which contains CCS, ABS, BV, GL, KR, RINA and so on. In order to match with the hydraulic windlass mooring winch well, we also offer a series of corollary equipment, such as the marine hydraulic power unit, marine service motor, fuel tank and flood valve. Aimed at these marine hydraulic source device, our professional experts make some suggestions about how to use and maintenance them correctly. First, the related operator should examine the hydraulic motor and hydraulic pump aggregate frequently to prevent them from abrasion, thus leading to the lifting capacity reduce gradually, and the entire hydraulic mooring winch systems can’t work normal due to the low oil pressure caused by heavy leak in main chain circuit. Second, aimed at the situation of the big impact force and vibration on the hydraulic system, as well as the undesirable management and disrepair causing the sudden breakdown, which even leading to a mass of waste of hydraulic oil and air pollution, the workers or operators should test this hydraulic equipment before them start to work, and the company can also employ some specialized works to in charge of the maintenance of the hydraulic anchor mooring winch. The hydraulic mooring winch systemmanufactured by Ellsen mainly is equipped on the bulbous bow of naval ships or the main deck in starboard, which plays a significant role to retracting cable and weigh anchor when a boat set sail, as well as cable tightening or anchor positioning ship on the time of a boat is stopping. Five years quality guarantee. 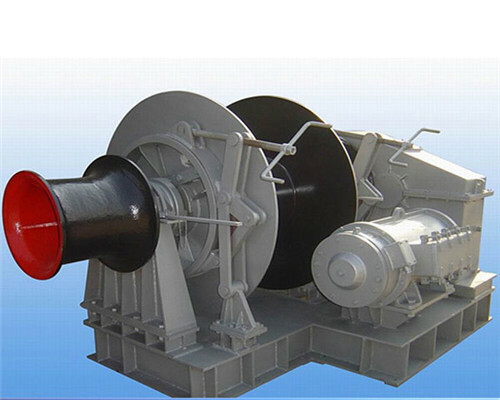 Most of our mooring winches operation all enjoy five-year warranty, which is the best promise in winch industry. The unique geographical advantages guarantee the fast delivery. There iszero error of our delivery according to analyses these data for the six past years. This is also the highest index that no competitors can reach. Easily installation and maintenance. We manufacture the parts of our mooring winch for ships by the way of stationary fixture to ensure easily assemble and movement. High safety and zero accident. Mature sales net and professional engineers group promise the entire problem solved timely and efficiently. Multi-function. Ellsen has a serieswinch production line to manufacture and custom diverse kinds of mooring windlass meet all your requirements. The unique geographical advantages make sure the fast delivery. Near to the Beijing –Guangzhou expressway and Zhengzhou international airport, we guarantee the fastest delivery speed for any your winch products. According to the data in the past 6 years, we have zero-error in delivery system. The excellent enterprise spirit brings a big development potential. As the leader in crane industry, we are responsible and positive to develop new technology. With operation principal of “seeking truth and being pragmatic”, our windlass mooring winch products have been the hottest and most popular choice for the home and aboard. Wide business, elaborate service and strong brand helps the company getting vast potential for future development.